The four bases that make up a baseball diamond can be directly related to the car shopper’s journey. We all know the path begins online. The final destination, or home base, is the dealership. The goal is to surpass all your bases and arrive back at home, or rather, get buyers into your store. You can’t get a home run without rounding the other three bases - that would be cheating. Similarly, in the car business, there are three obstacles you have to conquer first and foremost, before returning home for the win. The expectations of today’s digitally equipped consumers have skyrocketed. Souring shopper standards have caused additional complexities within the marketing landscape. There are more media outlets than ever before. New developments in mobile and wearable devices are generating more buzz than an overcrowded group text. Our access to data is exploding. Social media advertising opportunities are #Trending. But with all this technological innovation has come consequences. These advancements mean one thing for dealers and marketers: more competition. The following are guidelines to rise above and defeat the competition. In a recent study, eMarketer reported 97% of US corporate executives say their customers expected an efficient, fast, cost-effective, and personalized level of experience. The two most critical components in automotive marketing today are speed and personalization. Cost aside, if you don’t offer a seamless, personal experience that spans from your digital advertising all the way to your showroom, having the lowest price in town isn’t going to matter - because buyers won’t make it to your dealership if you lack the first two pieces of the equation. When a pitch is thrown to home plate, the batter has less than a tenth of a second to make a decision on whether or not to take a swing. When it comes to your website and mobile site, the same holds true. The modern-day consumer is flat out impatient. Google says 70% of smartphone users will leave a site that has a lagging load time and 67% will switch websites if it takes too many steps to get the relevant information they’re looking for. Dealers have a total of two seconds to ensure their mobile site experience prevails – slightly more time than a player at bat, but a very small window nonetheless. I don’t care how you do it. Or at what inning in the game you earn their trust. But trust is paramount when it comes to selling cars. Choosing which vehicle to purchase and where to buy it is a large, emotionally dense decision. Whether it’s trust in a brand, a dealership, or a salesperson, it is ultimately that sense of security that makes people feel like they’re being provided with a personal, reliable experience. That feeling of comfort will translate across channels into vehicles sold. Salespeople are already at a disadvantage when it comes to trust. A new survey from HubSpot says, “Only a mere 3% of people consider salespeople to be trustworthy.” Dealers need to be cognizant of this when staffing sales and BDC staff. Your team’s ability to communicate with honesty and transparency should be equally as important as their experience and knowledge of your inventory. The same rules apply in marketing. Your brand, your digital campaigns, your “why buy” messaging, and your reputation management, all must collectively paint a picture of trust. A dependable brand provides helpful tips and easy access to information. 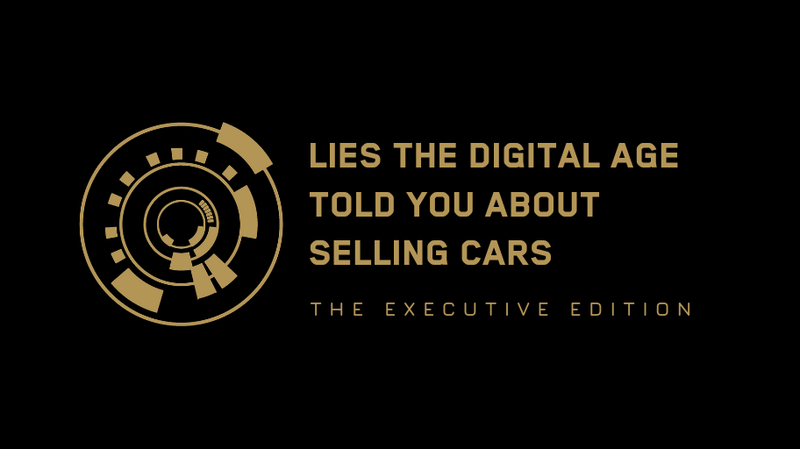 Dealers can establish integrity by sharing useful advice or articles throughout their digital endeavors, not necessarily related to their given product. We know vehicle details page (VDP) visits are important. There is no denying the correlation between VDP views and units sold. But what is even more important is the experience your VDP offers once the customer gets there. Your landing pages need to do three things: be easy to navigate, load fast, and above all, convert. Ask yourself, how do your VDPs incentivize customers to take that next step toward home base (your showroom)? KissMetrics says a one second delay in page response can result in a 7% reduction in conversions. The culmination of the home run occurs when all these factors are simultaneously in play. The trajectory includes every digital touch point (base) that ultimately drove a buyer into your showroom. Just as players must work together as a team, these micro-moments must all work in harmony in order to meet expectations, establish trust, and offer a fast and personal experience.